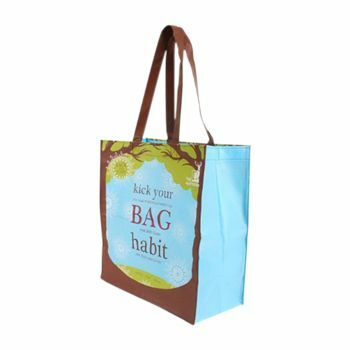 At APlasticBag.com we specialize in custom printed bags, when you need them. One of our finest products are our recycled P.E.T. 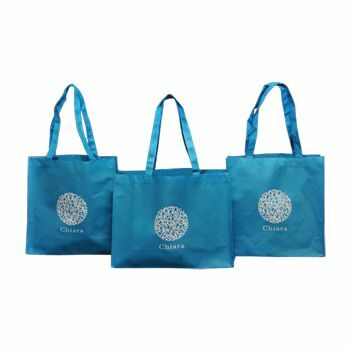 shopping bags,which are shopping tools made from recycled plastic bottles. Aside from going green, the obvious advantages of these bags include durability,functionality and the opportunity to have these bags tailored to your demand. Not only do we offer bulk quantities of recycled P.E.T. bags,but we also offer custom recycled P.E.T. bags, printed for your needs! With a personalized logo, design or coloration, custom printed recycled P.E.T. 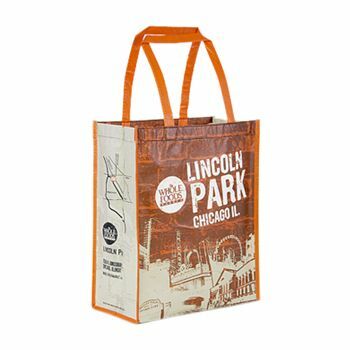 bags are attractive to look at and fun to use for consumers. In addition to giving you the Eco-friendly edge you need, they're also part of a trendy new shopping style in which businesses are personalizing the shopping experience for customers. Custom printed recycled P.E.T.can help save the environment, while remaining stylish and functional. Your source for Recycled P.e.t and Tote Bags.